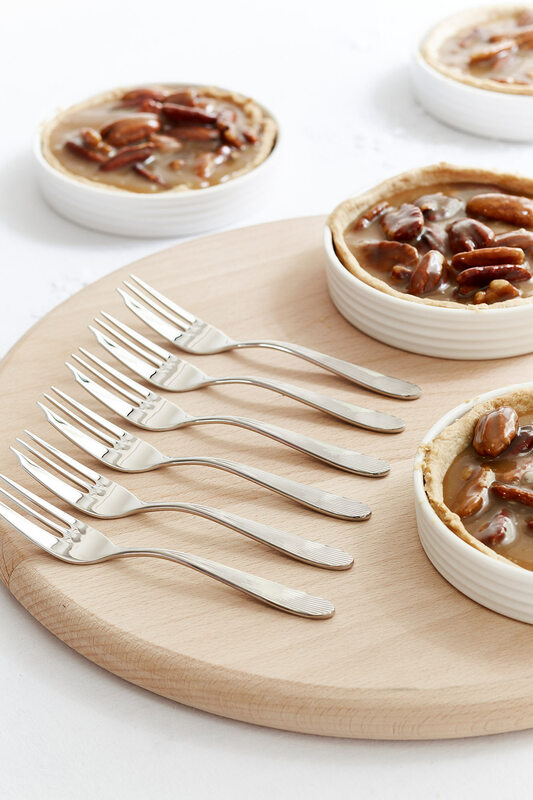 Bring out these beautifully dainty pastry forks for delicious desserts or afternoon teas. Perfectly weighted, hard wearing and designed with a celebration in mind, the forks have a subtly pretty pattern on the handles was inspired by seashells. 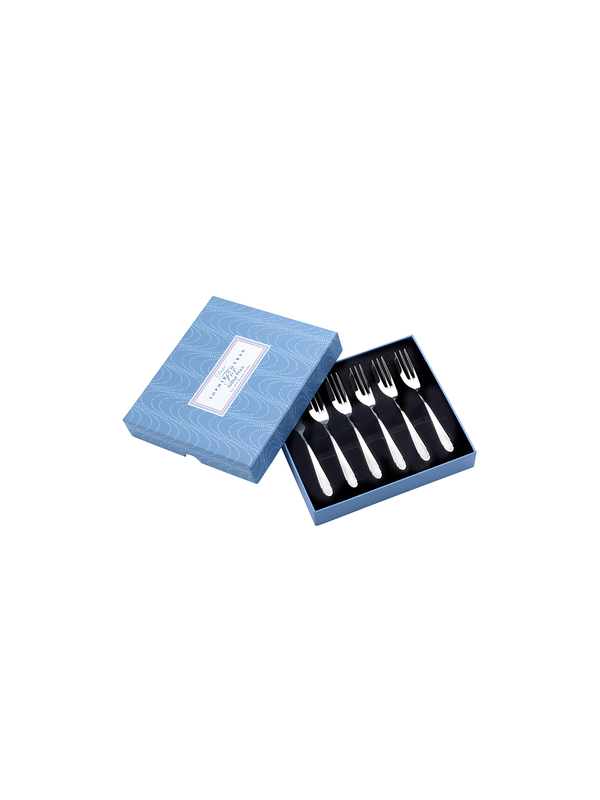 This set of six pastry forks makes a fabulous gift for someone with a sweet tooth, and is a wonderful accompaniment to our matching Dune 24 Piece Cutlery Set.